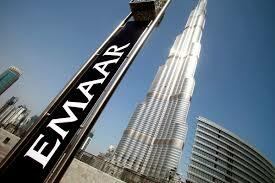 Global Fashion Group, owned by Rocket Internet, has announced a strategic partnership with Emaar Malls, which have some of the biggest shopping malls like Dubai Mall in the region and owned by property developer Emaar Properties. Emaar Malls will acquire a 51% stake in Namshi, the leading online fashion retailer in the Middle East, for 151 million USD including investment in the company for its future growth, with GFG retaining the remaining as 49% co-owner. This partnership will accelerate Namshi’s development in the region while on the other hand give big possibilities to Emaar Malls to grow in ecommerce sector. It has been expected that partnership like this happen, taking into consideration that Emaar was interested to buy Souq.com, the biggest e-commerce site in the region, which was acquired by Amazon for 650m USD earlier this year.